When a marriage ends in divorce, the lives of those involved are changed forever. During this time of upheaval, one thing that shouldn’t have to change is the credit status you’ve worked so hard to achieve. Unfortunately, for many, the experience is the exact opposite. 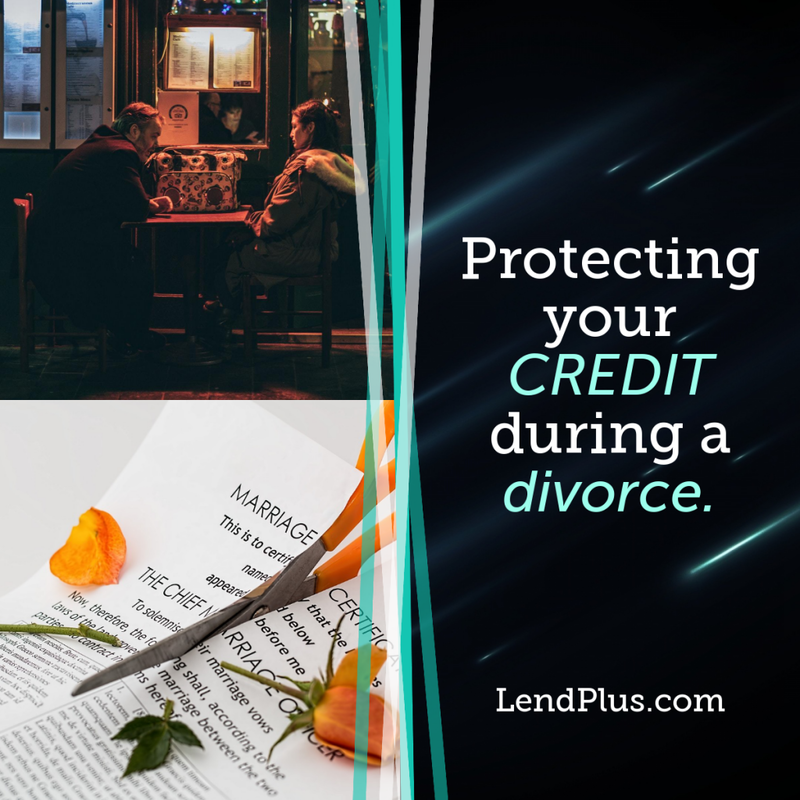 Unfulfilled promises to pay bills, the maxing out of credit card, and a total breakdown in communication frequently lead to the annihilation of at least one spouse’s credit. Depending upon how finances are structured, it can sometimes have a negative impact on both parties. The good news is it doesn’t have to be this way. By taking a proactive approach and creating a specific plan to maintain oneís credit status, anyone can ensure that ìstarting overî doesnít have to mean rebuilding credit. Once you’ve gathered the facts, you can begin to address what’s most important. Create a spreadsheet, and list all of the accounts that are currently open. For each entry, fill in columns with the following information: creditor name, contact number, the account number, type of account (e.g. credit card, car loan, etc. ), account status (e.g. current, past due), account balance, minimum monthly payment amount, and who is vested in the account (joint/individual/authorized signer). Now that you have this information at your fingertips, it’s time to make a plan. There are two types of credit accounts, and each is handled differently during a divorce. The first type is a secured account, meaning it’s attached to an asset. The most common secured accounts are car loans and home mortgages. The second type is an unsecured account. These accounts are typically credit cards and charge cards, and they have no assets attached. When it comes to a secured account, your best option is to sell the asset. This way the loan is paid off and your name is no longer attached. The next best option is to refinance the loan. In other words, one spouse buys out the other. This only works, however, if the purchasing spouse can qualify for a loan by themselves and can assume payments on their own. Your last option is to keep your name on the loan. This is the most risky option because if you’re not the one making the payment, your credit is truly vulnerable. If you decide to keep your name on the loan, make sure your name is also kept on the title. The worst case scenario is being stuck paying for something that you do not legally own. In the case of a mortgage, enlisting the aid of a qualified mortgage banker is extremely important. This individual will review your existing home loan along with the equity you’ve built up and help you to determine the best course of action. When it comes to unsecured accounts, you will need to act quickly. It’s important to know which spouse (if not both) is vested. If you are merely a signer on the account, have your name removed immediately. If you are the vested party and your spouse is a signer, have their name removed. Any joint accounts (both parties vested) that do not carry a balance should be closed immediately. If there are jointly vested accounts which carry a balance, your best option is to have them frozen. This will ensure that no future charges can be made to the accounts. When an account is frozen, however, it is frozen for both parties. If you do not have any credit cards in your name, it is recommended you obtain one before freezing all of your jointly vested accounts. By having a card in your own name, you now have the option of transferring any joint balances into your account, guaranteeing they’ll get paid. Ensuring payment on a debt which carries your name is paramount when it comes to preserving credit. Keep in mind that one 30-day late payment can drop your credit score as much as 75 points. It is also important to know that a divorce decree does not override any agreement you have with a creditor. So, regardless of which spouse is ordered to pay by the judge, not doing so will affect the credit score of both parties. The message here is to not only eliminate all joint accounts, but to do it quickly. Divorce is difficult for everyone involved. By taking these steps, you can ensure that your credit remains intact.